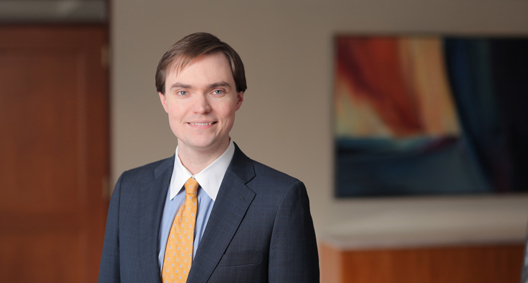 Patrick Lewis represents clients in high-stakes litigation, with emphases on commercial litigation, class action defense and election law matters. His commercial practice is focused on the financial services industry. Patrick defines the issues facing his clients early on and maintains a practical, outcome-oriented approach throughout litigation. Patrick is also an experienced appellate advocate and has represented clients before the Ohio Supreme Court, the Sixth Circuit and other appellate courts. In addition, he regularly represents financial institutions and other secured creditors in bankruptcy, receivership and related proceedings. Served as trial and appellate counsel to the Speaker of the Pennsylvania House of Representatives in a political gerrymandering challenge against the Commonwealth of Pennsylvania’s Congressional districting plan. Represented the winning candidate in a hotly-contested 2017 Virginia House of Delegates election against three different lawsuits, in both state and federal court, seeking to overturn the outcome of the election. Succeeded in defeating motions for temporary restraining orders and/or preliminary injunctive relief, and defeated an emergency stay application in the U.S. Court of Appeals for the Fourth Circuit that would have prevented the candidate from being seated in the House of Delegates. Defended a prominent Ohio bank in litigation involving several tort and equitable claims brought by another lender in the aftermath of a nearly $10 million commercial loan refinance gone sour, all predicated on the plaintiff's allegation that a loan officer orally agreed to release a multimillion-dollar mortgage on land as part of a refinance of other debt. Matter settled after nearly ever claim was dismissed. Successfully defended on appeal the dismissal of a multistate class action checking overdraft lawsuit challenging a bank client's policy of electronically sequencing debits and credits from the largest to the smallest amounts. The plaintiffs' claims, brought under Ohio common law and the Expedited Funds Availability Act, were dismissed with prejudice. Representing a credit life insurance company in putative multistate class action litigation arising out of challenges to the carrier's claims handling practices. Defending Ohio's three largest banks in a putative class action brought by county prosecutors challenging the use of the MERS System and seeking to require lenders to publicly record all residential mortgage assignments in the state of Ohio. Represented lenders in litigation arising under the Fair Credit Reporting Act, the Telephone Consumer Protection Act, the Expedited Funds Availability Act, and other consumer protection statutes. Lead counsel to a real estate investor and borrower in high-profile litigation with a lender arising out of a nonrecourse $135 million commercial mortgage-backed security loan used to acquire a multibuilding office portfolio in suburban Cleveland. The lender claimed that the borrower and investor were personally liable for the loan under controversial nonrecourse "carve out" provisions. Represented a secured creditor with a $12 million claim in a complex Chapter 11 proceeding to include defending the client's lien position and securing favorable cash collateral orders and plan treatment; also prosecuted related-party state court foreclosure proceedings in two states. The creditor was repaid nearly in full. Florida Passes Bill to Stop Bankruptcy Debtors From "Having Their Cake and Eating It Too"